Is BANT Killing Your Business? When BANT was introduced decades ago, buyers relied on calls to get to know a business’s offerings. 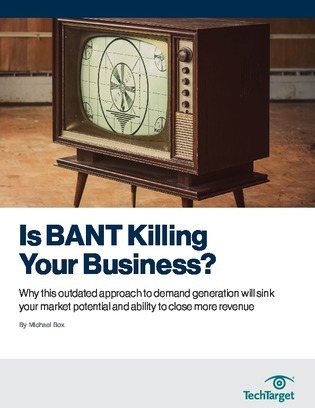 But in the age of Google, BANT is not only ineffective for B2B tech enterprises but may actually be killing their business. This paper covers why this dated technique falls short in the digital era and examine how to actually help sales do their job and win business.